Church of Saint Anthony, in Lisbon, Portugal, the birthplace of Saint Anthony of Padua. 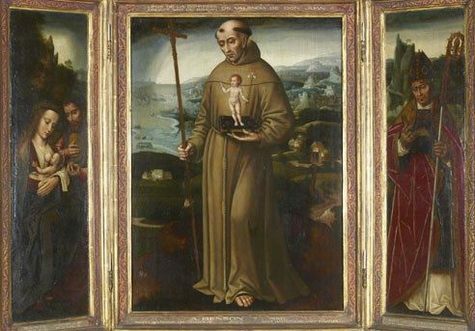 St Anthony of Padua and St Francis of Assisi by Friedrich Pacher. El Greco's painting, 1580, shows the book with an image of the Christ child on the page. 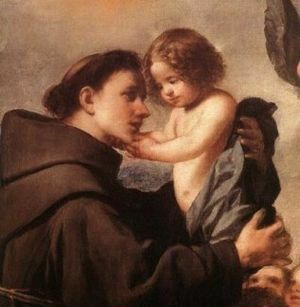 St. Antony with Christ Child, from, Carinthia, in Austria. Anthony of Padua Facts for Kids. Kiddle Encyclopedia.